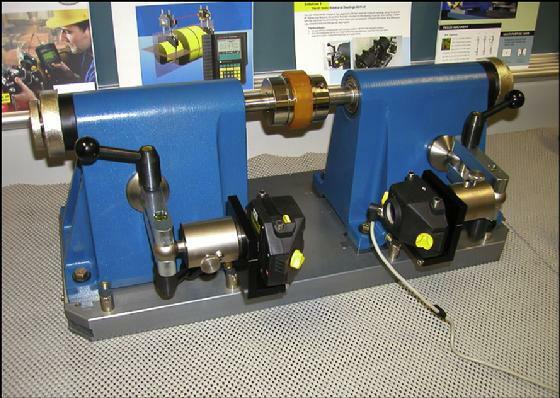 We have the following complete laser shaft alignment systems for sale. We are the owner of record of these systems and these systems will not be sold on eBay. 2 - ALI 4.000 Rotalign Ultra Systems at $13,500.00 each. 1 - ALI 4.000 Rotalign Ultra System with Licensed with Licensed Flatness, Straightness, & Tolerance Editor optional firmware $15,000.00. SOLD to a Very Happy Customer! 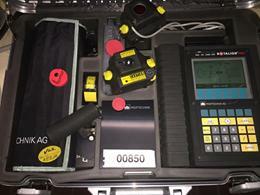 5 - ALI 3.501 Rotalign Pro Systems at $5,500.00 each. 4 - ALI 11.000 Aligneo Systems - full featured Licensed firmware at $8,500.00 each. 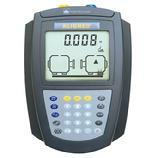 1 - ALI 11.000 Aligneo System - Basic no optional Licensed firmware $3,500.00 each. 1 - Optalign Plus SF full featured System $4,500.00. 1 - Optalign Plus S System $3,500.00. Payment Terms: Bank Money Order or Cashiers Check - VISA or MasterCard accepted. These systems will ship with Current NIST Calibration Certificates insuring that these systems produce accurate results - if used by a competent trained user! If you are interested in one of these systems, send us an email with your name and address - we will not respond if this information is not included! We sell only to US companies and in the United States of America. This is not a fire sale - if you want cheap - go elsewhere and take your chances! If you are Fishing - go to a Pond! 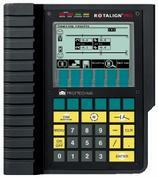 Refurbished Rotalign Pro - Make Offer - Click! 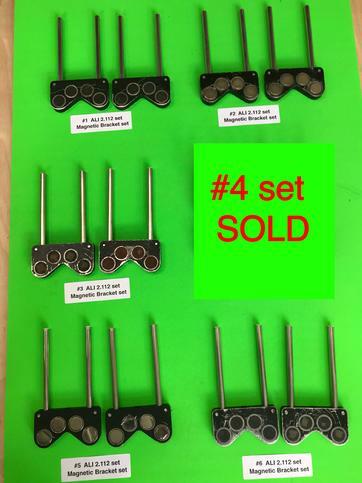 Like New and like Used ALI 2.112 set Magnetic Bracket Sets, consisting of 2 magnetic brackets (with 4 magnets) and 4 support posts Make Fair Offer set of 2 brackets with allen wrench. 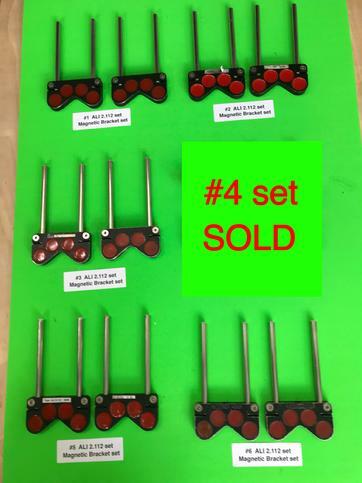 Important - Make a Fair Offer for the bracket set of your choice by number set #1 through set #6. First orders will have a plastic case and all future sets come without cases. Email preferred Make Offer 704-233-9222. Print PDF Reports to the Rotalign Ultra and Optalign smart's Memory Stick! 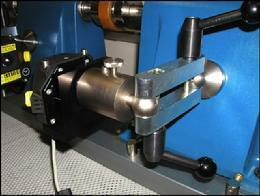 Measure Machine Movement - With your existing Rotalign® or Optalign® Laser System! This Is "OUR LAST SET" ! The M3 Bracket System allows Measurement of Positional Change (i.e., Thermal Growth & Dynamic Movement) using your existing Rotalign® Ultra, Rotalign®, Rotalign® Pro, Optalign® smart, Optalign® Plus, Aligneo®, smartALIGN®, Masterlign® & Masterlign® Basic! We are offering our last set, at a closeout price of only ($2,700.00) MAKE OFFER US. Please call 704-233-9222 or send us an email. Shown with the standard L 581 M3 bracket sensor holder used with a Rotalign series sensor. L 586 M3 bracket sensor holder for the Optalign Plus series sensor at $480.00. One only available! New M3 Bracket System for sale - $2,700.00 US. Note that the Rotalign sensors and the LT 300 Alignment Simulator that the M3 Bracket set is mounted on are not part of the sale. Please click on picture to enlarge. 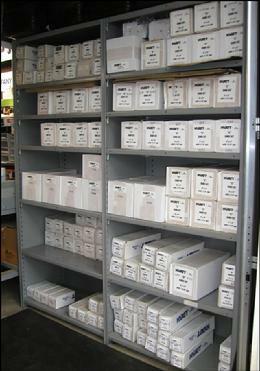 Partial Shim Set Inventory� Click on picture! Visit Our Laser Tips Section! 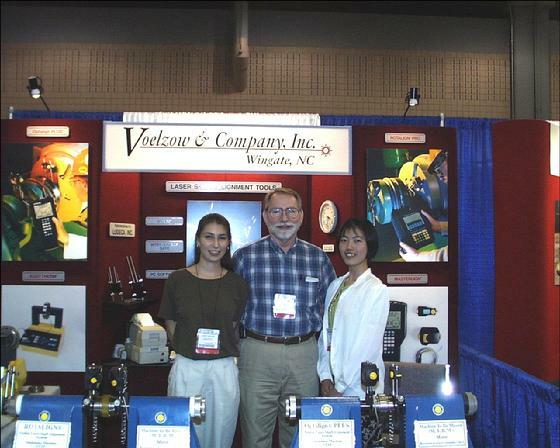 Bev and I have not been active in new laser sales since 2007 and no longer need our Show Display which we used at Industrial Shows and meetings. This Show Display is a quality reversible, maroon / blue, display which is very portable and can be set up free standing including storage which is underneath the built in table (see the second picture). The upper half of the display separates and can also be set up by itself on a 10' table. The Show Display ships in four cases by UPS, FedEX but we carried the Show Display to shows and meetings in the back of one of our trucks or our van. The backlit Header / Banner part of the display can be easily changed by your local sign shop to whatever you need - a Company Name, Church Name or Organization name! The various packard wording you see on the display are for the Prüftechnik AG products that we had been selling but they can also easily be changed by your local sign shop. If interested, please contact us by email with your best reasonable offer as our Show Display package will be sold soon. Email us or call 704-233-9222. 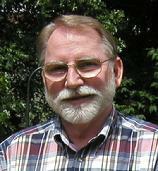 We had worked with Ludeca for 21 years covering the Carolinas, Georgia and Eastern Tennessee – resigned on June 4th 2007 and ceased our representation as of July 3, 2007. We have continued to take care of our customers, as we have for 44 years, with technical support – including after hours, laser rentals and shims. When you need assistance – please call Norm or Bev Voelzow at 704-233-9222 or send us an email! Top Gun®, when used with Laser Shaft Alignment, is a registered trademark of Voelzow & Company, Inc. Welcome to our Laser Alignment "Top Gun®" Site. 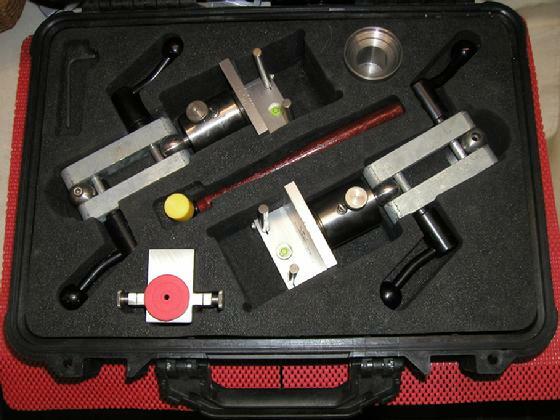 This site is for Shaft Alignment professionals and others who are interested in Laser Shaft Alignment. Our site contains tips, tools and information useful in the field of Laser Shaft Alignment and shaft alignment in general. We conduct training classes for all Rotalign® Laser Shaft Alignment systems, all Optalign® systems, smartALIGN®, Aligneo®, pocketALIGN® and Masterlign® systems in the Southeastern US – schedule permitting. Each of our trainers has over 20 years experience in alignment and Laser Shaft Alignment! We have many rental Rotalign® Ultra, Rotalign® Pro, Rotalign® Standard, Optalign® smart, Optalign® Plus and Aligneo® shaft alignment systems, and – have many of the special brackets that you may need also! Find out late in the day that you need to rent a laser for an alignment tomorrow – call us as we ship the same day on orders received as late as 6:30 pm Eastern Standard Time! We are located in rural North Carolina near the towns of Wingate and Marshville (where Randy Travis is from) about 40 miles Southeast of Charlotte – not far from RaceCar City or the Charlotte Motor Speedway (Lowe's now). 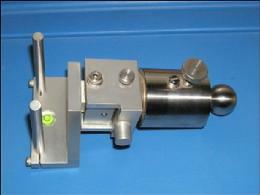 We rent laser systems, ship SS shim products and all of our other products anywhere in the US. 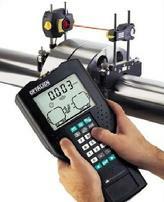 If you are at a Paper Mill, Power Plant, Fiber Plant, Steel Mill, Chemical Plant, Petrochemical Plant or Pipeline - you most probably have a Laser Shaft Alignment system! If you need to rent an additional laser for an outage – please give us a call at 704-233-9222 or send us an email! We are very confident that the information you find on these pages, especially our Laser Tips section, will be a help to you when doing your next alignment. If you have a question, want to make a suggestion, or want to correspond with us, please use the email link or Request Form near the bottom of this page. We welcome your suggestions and questions 24/7! Ludeca, Inc. Doral. FL (click) God bless the USA! If our Flag offends you - please leave! All text, graphic and photograph files are © Copyright Voelzow & Company, Inc. - Wingate, North Carolina USA. Reference the Digital Millennium Copyright Act Of 1998. Top Gun®, when used with Laser Shaft Alignment, is a registered trademark of Voelzow & Company, Inc Wingate, North Carolina USA. Note: We have not given anyone or any company permission to use any text from our website on their website or in printed material or for use on an auction site listing etc! Optalign®, Rotalign®, smartALIGN®, Aligneo® and Eddytherm® are registered trademarks of Prüftechnik Alignment Systems GmbH of Munich (Ismaning), Germany – the Inventors of laser shaft alignment – Visit. We accept payment by Visa and MasterCard credit cards and purchase orders from customers approved for terms of Net 30 Days. If you prefer, you can make a secure payment through PayPal. Contact us at 704-233-9222 or by email for details.